Scores of Americans are worried about the latest huge cyber hack in the U.S., an Equifax data breach that could impact up to 143 million consumers nationwide. Equifax, one of the country’s biggest credit bureaus, says cyber criminals hacked into its systems and gained unlawful access to people’s Social Security numbers, names, addresses, birth dates, along with credit card info and driver’s license numbers. Crooks can do a whole lot of damage with such a treasure trove of data. Scammers can open bogus credit card accounts in your name, get unauthorized loans using your credit history, or even dupe the IRS into giving the fraudster an income tax refund check that’s rightfully due to you. So in the wake of this massive Equifax data breach, it’s understandable that many people are concerned. If you’re fretting over the potential exposure of your private data, and how unscrupulous con artists could use it, here are three things to do. The company has created a website, https://www.equifaxsecurity2017.com, designed to help consumers deal with the fallout from the Equifax data breach. If you go to this new website and enter your last name, and the last six digits of your Social Security number, Equifax says they’ll not only tell you if your data was illegally accessed, they’ll also provide you with free credit monitoring and identity theft protection services, called TrustedID Premier. Sounds good at first glance. But as numerous media outlets have reported, there are strings attached. Equifax’s online terms of service basically say that to get the company’s help, you have to agree NOT to join in any lawsuits against Equifax that may arise out of this egregious data hack. Consumer advocates, lawyers, journalists and others quickly pounced on Equifax for that requirement, and in less than 24 hours the company updated its terms of service. Now, you don’t exactly have to waive your legal right to sue – provided you notify Equifax in writing within 30 days of using their online website. Bottom line: if you want Equifax’s assistance, go for it; if you don’t, just don’t bother. A word to the wise: Don’t get a bad case of FOMO (fear of missing out) or fret over “not knowing” if you decide to skip Equifax’s offer. Besides, many people like myself used Equifax’s online site and still didn’t get a clear “yes” or “no” answer regarding whether our data had been exposed. Either way, since this Equifax hack was so large, possibly affecting half the adult population in the U.S., chances are very good that your data was compromised. So just resolve to take a couple of other proactive steps, independent of Equifax’s new website. One proactive measure you can take is to put a fraud alert on your credit files. A fraud alert, sometimes called a credit alert, is an ID theft warning statement that’s placed on the bottom of your credit reports. As the name suggests, this statement “alerts” or notifies your creditors that you may have been the victim of fraud or identity theft. As an extra security measure, your phone number is listed on your credit file. This is done so that if a crook tries to get a loan or credit using your Social Security number, once a lender or creditor pulls your credit report and sees the fraud alert, the creditor is supposed to call you first to verify that it’s really you. This process helps prevent identity thieves from ruining your credit by opening unauthorized accounts. You only have to contact one of the three credit bureaus (Equifax, Experian or TransUnion) in order to initiate a fraud alert. Once you call one bureau of your choice, the other two credit bureaus will be automatically notified and will likewise put fraud alerts on your credit files. Finally, you have the option of getting two different kinds of fraud alert. You can choose an Initial Alert, which lasts for 90 days. Once it expires, you can renew it again if you’d like. As an alternative, you can request an Extended Alert, which lasts for seven years. If you know with certainty that your data has been hacked, it’s definitely worth getting a credit freeze to further protect yourself from wrongdoing by cyber thieves. What is a credit freeze? Simply put: a credit freeze is a way to lock down or totally block off all access to your credit reports that are maintained by the credit bureaus. Credit freeze laws, which are also known as “Credit Lock” laws, give you the right to do this. Such laws started in California way back in 2003. Today, every state in the country offers residents the legal right to a credit freeze; so do laws in Washington D.C. and Puerto Rico. When you request a credit freeze, an identity thief can’t get credit in your name because a PIN (Personal Identification Number) is first required in order to authorize to the credit bureaus to “unfreeze” or “thaw” out your credit report and allow access to it. Without your PIN, no one can see your credit reports, let alone open new credit accounts using your personal information. As of mid-2017, relatively few Americans – only a few hundred thousand, by most estimates – had actually locked their credit reports. However, requests for credit freezes have already spiked in the wake of the Equifax hack, which was disclosed in September 2017. Many states mandate that residents get complimentary credit freezes if they want them. Moreover, all identity theft victims are entitled to get credit freezes free of charge with the three credit bureaus: Equifax, Experian and TransUnion. Even before the Equifax data breach, Equifax did not charge a fee for credit freezes. The credit bureau does, however, require you to make your request for a security freeze in writing if you are a victim of identity theft. If you are not a victim of identity theft, you can place a credit freeze online with Equifax. TransUnion charges anywhere from $3 to $10 for a security freeze, with the cost based on where you live. (Again, identity theft victims pay nothing, regardless of where you reside). What Documents Will You Need to Lock Your Credit Files? Unlike the process of getting a fraud alert, you must request a security freeze with each individual credit bureau separately. To make the process of getting a credit freeze go smoothly, be prepared with the correct documentation and information that the credit bureaus will request. It may seem like a big hassle to go through the process of requesting a credit freeze. 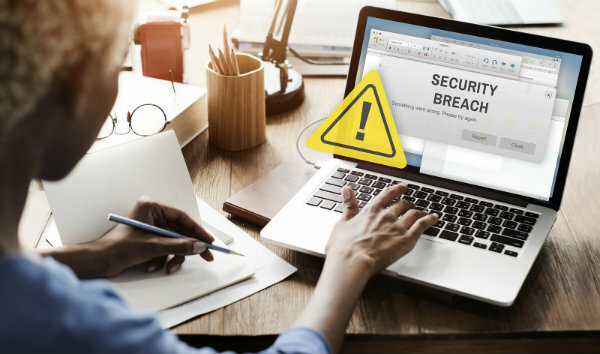 But locking down your credit files may be your best defense in the aftermath of the Equifax data breach, and other data hacks that are sure to strike in the future against a variety of companies or organizations that have your private information.